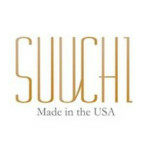 Suuchi Inc is a technology enabled design & manufacturing partner for innovative, forward-thinking American apparel fashion brands and Fortune 1000 companies. With advanced design software & manufacturing automation, Suuchi Inc’s vertically integrated supply chain replenishes inventory in as quickly as 5 days. Designers, brands, and companies looking to bring production back to the US, build strong relationships with their local suppliers, and gain a competitive edge in the present and future marketplace.